Free golf GPS rangefinder, scorecard and shot tracker. Easy to use. Tap to measure distance to any point on the course. Satellite views with aerial flyover of every hole on any of over 40,000+ worldwide course. Conforms to tournament rules. Optimized to save battery life. No registration required to start playing. Optional: track your game automatically with Golf Pad TAGS! Know the distance of every shot. 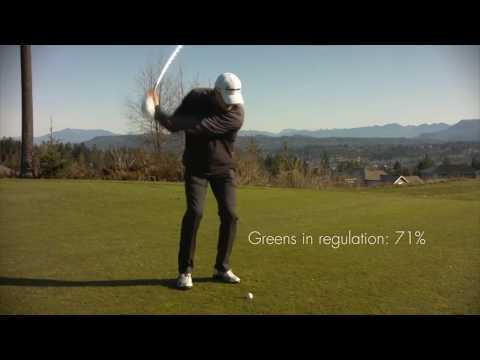 Get actionable insights like shot dispersion, strokes gained and course strategy. Available at golfpadgps.com. Just need a fast, free golf gps rangefinder and scoring app? Download Golf Pad GPS, it works with or without TAGS. Many features that cost money in competitor golf gps apps are included free in Golf Pad GPS. Like instant distance to front/middle/back of the green, detailed scoring for up to 4 golfers, aerial maps with flyovers, tee-to-green shot & club tracking, and more. This is not a trial or a demo. Play as many courses as often as you like, anywhere in the world. It's FREE. Get extended statistics, smartwatch sync and handicap scoring with Golf Pad Premium. Works with Android Wear and Samsung Gear watches. * Improve your game with the revolutionary Strokes Gained shot-by-shot analysis. We listen to our users and consistently add new features to make Golf Pad GPS even easier and more useful. If you have a feature request, a question or need help, see support.golfpadgps.com. You can even contact our team from the app or using our live chat feature on our website. We’re happy to help. Join over 2,000,000 golfers who use Golf Pad GPS rangefinder & scorecard over any other golf gps navigator apps. Over 6 million rounds played and counting. Learn more at www.golfpadgps.com. Check out our reviews. Golfers LOVE this free golf GPS and scoring app! I've tried so many other apps and GPS gadgets for golf alongside Golf Pad and this remains top pick for me, friendly on battery and accurate and all recent update functions make this app an utter joy to use. 10 stars from me. Playing history export is now available. Download your playing history in CSV format and analyze with Excel, Google Spreadsheets or other software. Version 14.15: Simplified Quick Score page. Scoring is now faster and more intuitive. Version 14.9:- By popular demand! LINK users can now add penalties, sand shots or mark flag position without pulling the phone! Use the option under Golf Pad LINK settings to configure a custom action for the LINK button.- TAGS users can also assign custom action like marking a flag or adding a penalty to a specific tag.- Other fixes and improvements throughout the app, including an option to disable automatic hole auto-advance. Version 14.6: New Golf Pad LINK firmware. Includes faster GPS location lock and other improvements. Version 14.6.1 fixes a problem with Android 8 phone compatibility. Version 14.5.3:Fixes for Golf Pad LINK tag scanning and hole auto-avance problemsVersion 14.5:New hole auto-advance algorithm. This new algorithm uses artificial intelligence system backed by Google's TensorFlow framework to pick the right hole for recorded shots. You should see improved hole assignment when using Golf Pad LINK or TAGS. Choose between new and old algorithm in settings / auto-advance. New in version 14.5:New hole auto-advance algorithm. This new algorithm uses artificial intelligence system backed by Google's TensorFlow framework to pick the right hole for recorded shots. You should see improved hole assignment when using Golf Pad LINK or TAGS. Choose between new and old algorithm in settings / auto-advance.